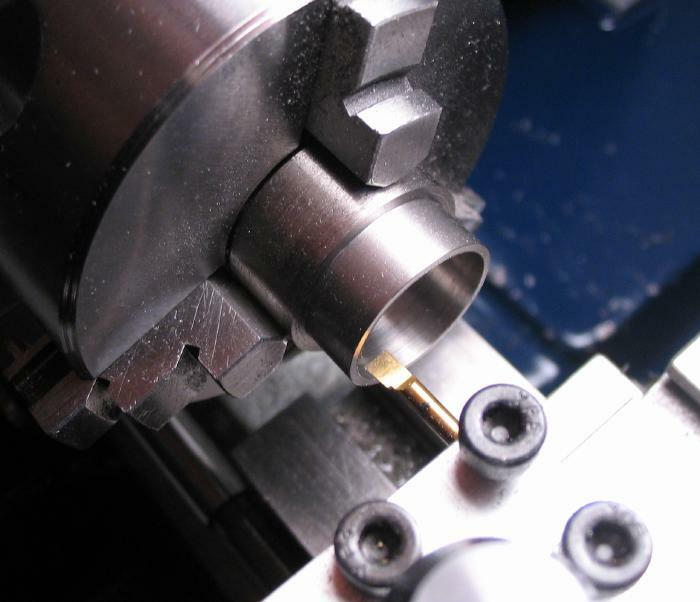 This page demonstrates the machining of a simple ring with a faceted periphery. It was the result of deciding what to do with a short length of left-over stainless steel and a lazy weekend. 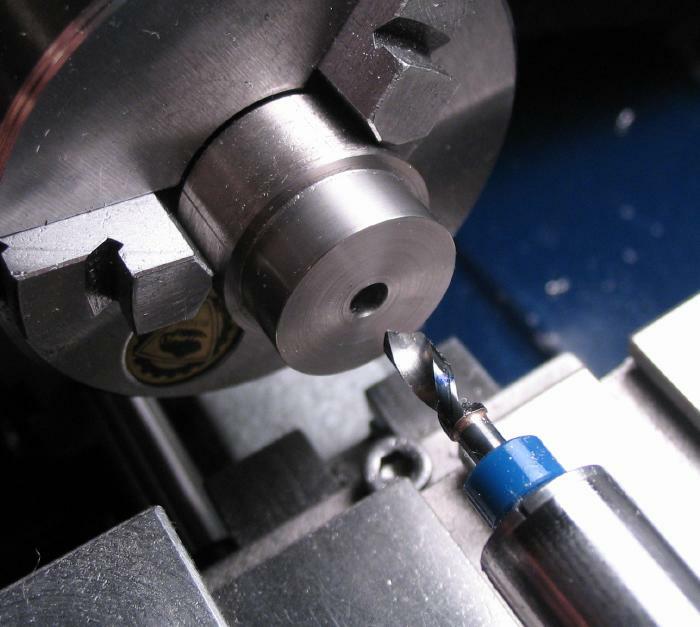 The roughly 3/4" long piece of 316 stainless steel was mounted in the 3-jaw chuck, faced and turned to 19mm in diameter for a length of about 8mm. The rod was drilled to pass a boring bar, and then bored open to a diameter of 17mm to fit the intended finger. 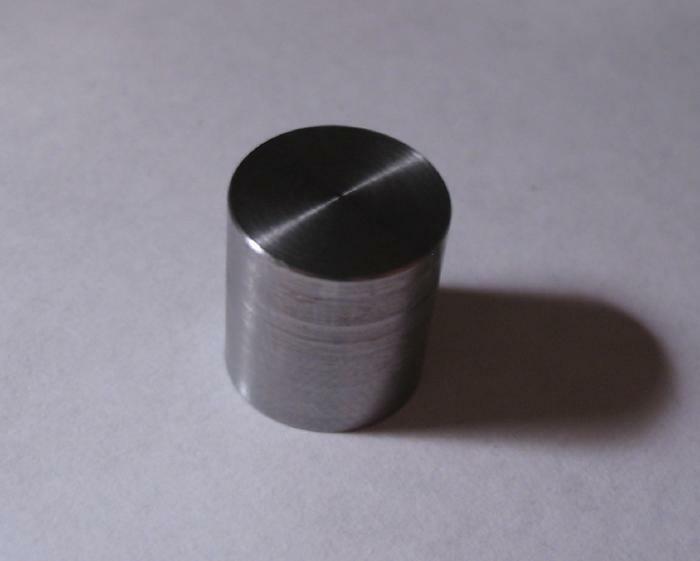 This determined by measuring an existing ring or by testing with a set of ring sizing keys and checking the diameter with a caliper. The headstock was locked and prepared for indexing to 15 positions. 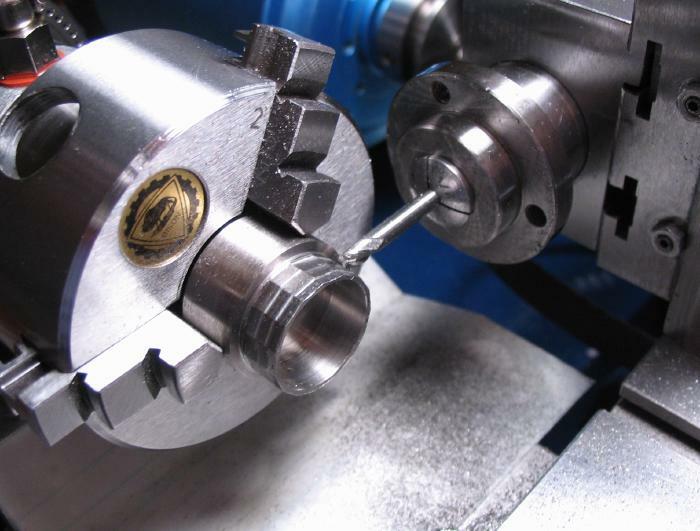 The milling spindle is was setup on the vertical slide and a 1/8" carbide endmill mounted for machining flats on the surface of the bored rod. 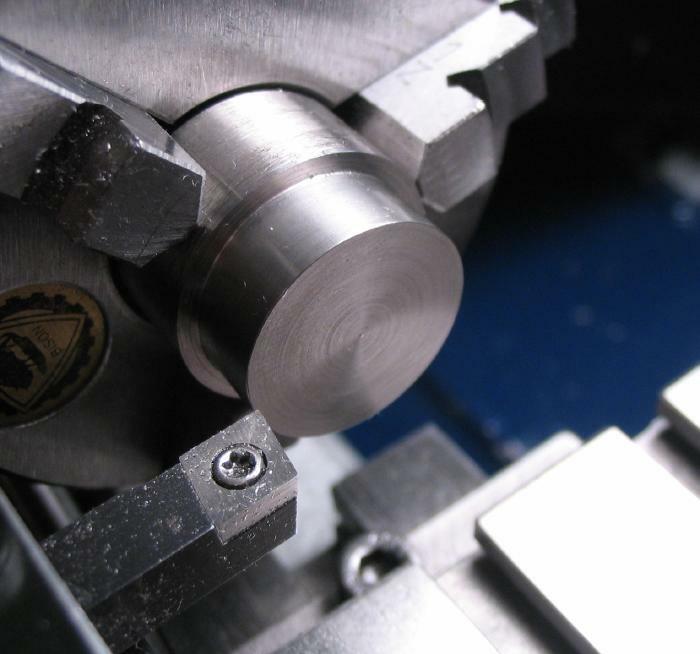 The flats were milled to a depth of about 0.25mm or to a depth sufficient that the flats meet each other. 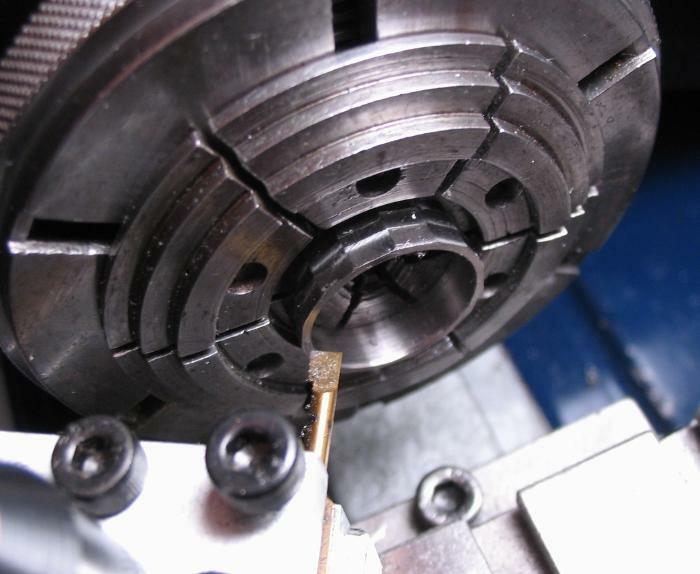 The ring was then parted off and mounted in the 6-jaw bezel chuck for chamfering the inside edges to remove the sharp bur. A boring set to about 45 degrees with the topslide was used. 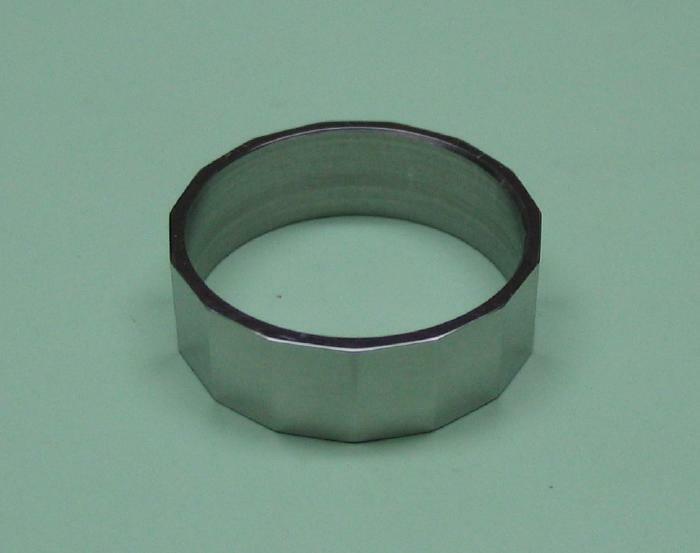 The completed ring was then polished on various grades of emery paper mounted on a glass plate.